Can You Use Euros in London and the United Kingdom? Can You Use Euros in England and Around the UK? 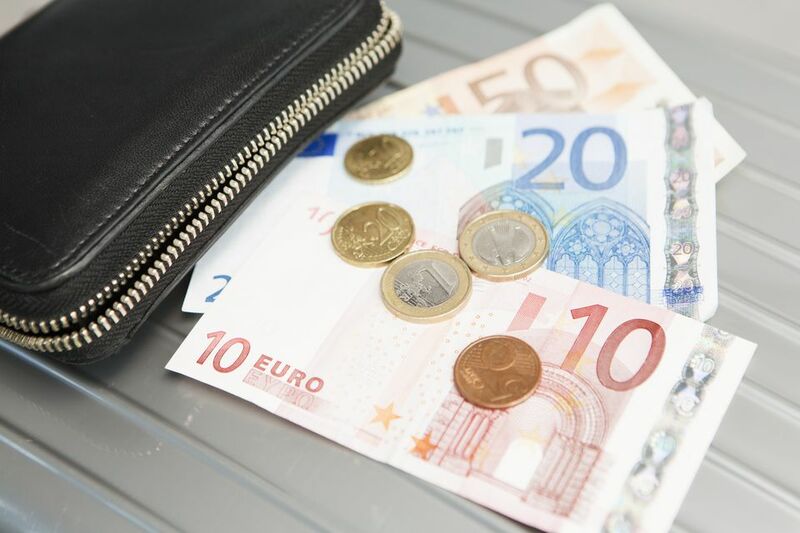 As a visitor traveling between the UK and Continental Europe, you may wonder whether you have to keep changing your currency every time you cross from the Euro Zone into the UK. Can you spend your euros in London and elsewhere in the UK? This may seem like a simple, straight forward question but the answer is a little more complicated than that. It is both no and - surprisingly - yes... and also maybe. More importantly, is it a good idea to even try to spend euros in the UK? In March 2019, the United Kingdom is scheduled to leave the European Union (EU). A lot of things will change but questions of currency will stay pretty much the same for visitors. That's because the UK never adopted the euro as its currency and has always handled it as foreign currency, just like dollars. Those stores that do have facilities for accepting euros only do so as a courtesy service for the many foreign tourists who visit them. So, following the UK's departure from the EU, the situation regarding spending euros in the UK won't change. What may change, however, at least for some time, is the volatility of exchange rates between the pound sterling and the euro. Before you try to use your euros in one of the UK shops that accept them, check the exchange rate to see if some other method of changing them might be better. The official currency of the UK is the pound sterling. Shops and service providers, as a rule, only take sterling. If you use a credit card, regardless of the currency in which you pay your bills, the card will be charged with sterling and your final credit card bill will reflect currency exchange differences and whatever fees your issuing bank levies on foreign exchange. Some of the UK's bigger department stores, especially the London stores that are tourist attractions in themselves, will take euros and some other foreign currencies (US dollar, Japanese yen). Selfridges (all branches) and Harrods will both take sterling, euros, and US dollars at their ordinary cash registers. Selfridges also takes Canadian dollars, Swiss francs, and Japanese yen. Marks and Spencer does not take foreign currency at the cash registers but it, like other stores popular with visitors, has bureaux de change (literally foreign exchange desks where you can readily change money) - in most of its larger stores. Even within the UK, there are currency confusions. The Bank of Scotland and the Bank of Northern Ireland both issue their own versions of pounds sterling. The notes have different pictures and the coins have different engravings. Visits returning to London from Edinburgh or Belfast with Northern Irish or Scottish pounds often have difficulty with cashiers refusing to accept them - even though they are legal tender. So imagine trying to pay with euros. Buy the minimal amount of currency you think you'll need to get by. It's better to use your credit or debit card to buy a little extra than to have loads of foreign currency left over. Remember to use up your coins - they are almost impossible to change between currencies. Hang onto your leftover currency until you get home. Put away your euros, Swiss francs, Danish krone, and Hungarian forints in a safe place and change them all at once into your own national currency when you get home. If you don't, you lose value with every exchange. In some parts of the world, dealers who have identified you as "foreign" may try to sell you currency in exchange for dollars or euros. If you've traveled to the Middle East, parts of Eastern Europe, and Africa, you may have already encountered this. This practice is virtually unknown in the UK so, if you are approached, don't be tempted. Be on your guard because you are probably being hustled. The person offering you the exchange may be trying to pass you counterfeit money or may simply be distracting you while their pickpocket/purse snatcher friends get to work.